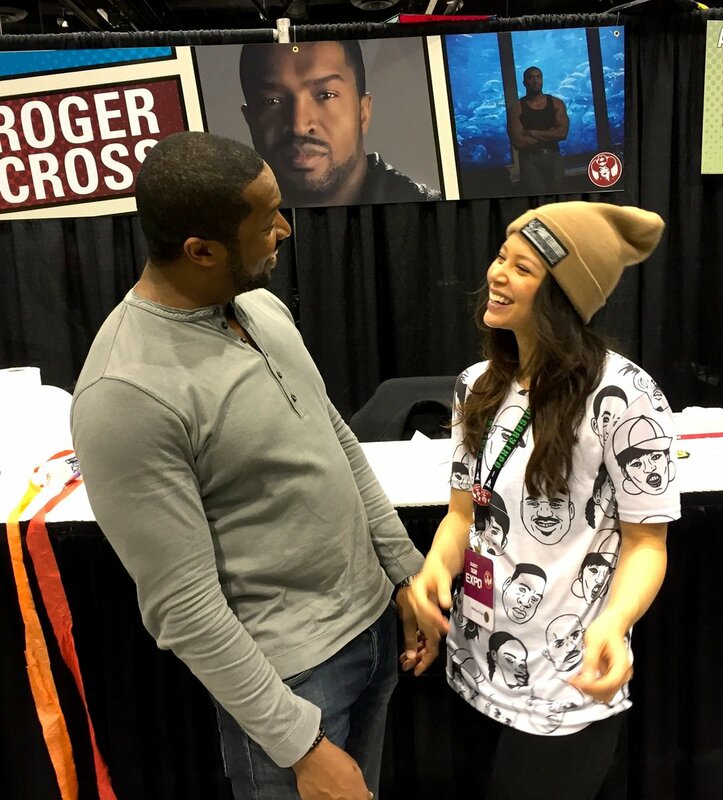 On day three of the 2017 Calgary Expo, stars of the show Dark Matter, Melissa O'Neil (plays "Two" on the show) and Roger Cross (plays "Six" on the show) took time out of their ridiculously busy schedule of meeting and greeting fans to talk to me about season two and the upcoming third season. Season three airs June 9, 2017 on Syfy in the U.S., and on SPACE in Canada. If you have the chance to meet Melissa and Roger on the last day of the Calgary Expo today, do yourself a favour and line up to meet these two because they're absolutely hilarious and super nice people. Thanks again, Roger and Melissa. Now, make like a Blink Drive and quickly hit play on the Soundcloud link below. This interview was recorded and written by Chris Doucher of GeekNerdNet.com.